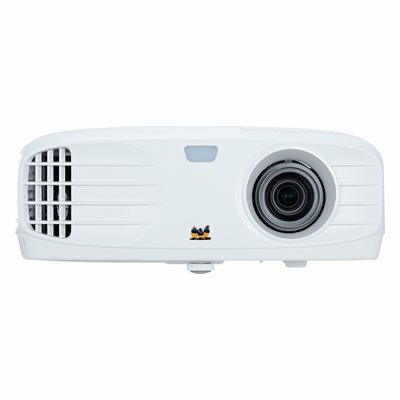 Perfect for home entertainment, the ViewSonic PX700HD projector features 3,500 lumens, Full HD 1920x1080 native resolution, an intuitive, user-friendly design and a sleek white chassis. Exclusive SuperColor technology offers a wide color gamut for beautiful image production in nearly any environment. An ultra-low input latency provides faster frame-by-frame action, while a Sports Mode feature delivers stunning detail so you can enjoy fast-action sports on the big screen. Full HD 3D compatibility lets you enjoy 3D movies and games. What's more, an energy-saving SuperEco feature reduces power consumption and extends the lamp life by up to 15,000 hours. Extensive connectivity options include dual HDMI inputs and USB power, making the PX700HD a versatile home entertainment solution.